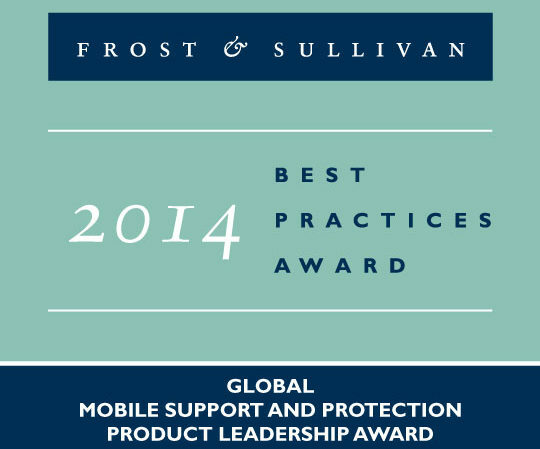 Asurion was recently named the recipient of the 2014 Product Leadership Award by industry analyst and consulting firm Frost & Sullivan for impressive market achievements in Global Mobile Support and Protection. “We have identified Asurion as an innovator in mobile support and protection. Its attractive service offering, along with strong relationships with leading mobile operators globally, has helped establish Asurion as a global leader in mobile support and protection” said Brent Iadarola, Mobile and Wireless Research Director, Frost & Sullivan. Frost & Sullivan’s research indicates that 80% of the world’s population will own a smartphone by 2020. Consequently, the huge advancements we’ve seen in the technology of our phones has also made them more complicated to use and now there is a major need for in-depth support to help people manage their device and its connections. Our support and protection services allow customers to protect, support, manage, and optimize their mobile devices, while delivering a best-in-class service experience. Customers can conveniently access benefits of Asurion’s support and protection services through its apps or web portals, where they can check their coverage, file a claim, locate their device, secure their data, and connect with tech support for device-related questions. We are the only company in our category that has invested across every contact channel (Web, phone, mobile), allowing our customers to engage in the way that is most convenient for them. To learn more about Asurion’s Mobile Protection visit www.asurion.com.